At RGS Exteriors & Construction, we believe in the importance of specializing in a single service. Many contracting companies advertise that they offer a huge variety of services—however, in many cases, the breadth of their services often comes at the expense of quality and expertise. Aspen Roofing is a family owned and operated business providing excellent roofing, gutter, siding, soffit/fascia, and custom metal fabrication services to the Salt Lake City, Park City and surrounding areas. A roof over your head is essential to keeping your home safe and secure, and the expert team at MyRoof in Ogden has the tools and experience to provide high quality roof repair, roof replacements, and much more. We’ve built a successful business on quality workmanship and dedicated customer service. In a business where referrals are key to solid growth, we have built our business with absolute customer satisfaction as our foundation and objective. 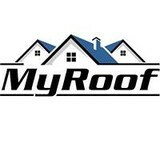 At MyRoof, we take immense pride in our craftsmanship as designers and builders of quality roofs. Lifetime Roofing is Utah's most referred roofing contractor. We have been in business for over 10 years and are proud to have the customer base we have. To learn more please get in touch! 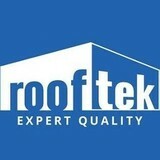 At RoofTek, LLC, we take great pride in our experience, expertise, quality, and customer service that we provide to meet the consumer's needs. It is our mission to provide excellent workmanship and complete customer satisfaction from start to completion of a project. In order to understand the needs and expectations of our customers, we take great care to work and communicate with every customer in a professional manner. Our reputation is based on service, safety, and quality, regardless of how large or small the job. We are a Top-Rated rain gutter installation service providing custom seamless rain gutters in the Greater Salt Lake area and surrounding counties. With years of experience, Superior Rain Gutters has built a reputation for highly satisfied customers by bringing expertise and value to each customer. Installation estimates are free and, the work comes with a 5-year guarantee. Whether it's a new home or a renovation project, our custom rain gutters are designed and installed with the intent to protect your home, while adding to its curb appeal. We are licensed and insured. We install rain gutter, siding, Soffit- Fascia, chimney caps, custom metal, copper gutter, copper caps, custom copper. Custom Tile Roofing Manufacturer. Over 20 Styles and Options from Slate and Shake to Mission Tile. Bartile has over 700 colors and can create any look that you can imagine. Call us to find certified installers in your local area. Artisan Roofscapes is a custom roofing contractor. We specialize in Bartile, slate, wood shakes, metal, copper, and corten. Our goal is to provide a beautiful roof that will add to the curb appeal of the home. It is our job to help customers understand the difference in roofing materials and assist them in selecting the perfect fit for their project. Case Construction and Roofing is a third generation roofing company. We have been in Utah long enough to know the balance between roofing and the extreme weather that we experience. Protecting what is inside your home is extremely important to us and we strive to make your home as perfect as you want it to be. Call us for a free estimate and we are happy to give references as well. The Roof Doctor is a full service and locally owned roofing company which services the Salt Lake, Davis, Utah, Weber, Summit, Wasatch and Tooele counties. We specialize in roof repairs, new roofs, roof removal, and taking care of you! Customer service and customer satisfaction are of the highest importance to The Roof Doctor because it is important to you. We believe that a great roof that never leaks, with a great warranty, should be the minimum expectation from your roofing contractor. Roofing the house is the easy part. We roof as well as anyone, better than most, and way better than a lot! So what is different about The Roof Doctor? We strive daily to set ourselves apart as the leaders in communication, service, value, integrity, character, and honesty. We focus on caring for you, your home, your gardens, and your neighbors. On behalf of the Roof Doctor Team, thank you for the opprutunity to take care of your roofing and service needs. Here at Wesley Green Roofing we have been in business since 1948 and have been offering the highest of quality in service and workmanship. Ace Gutter offers seamless rain gutters in a variety of size, shapes, and styles. We offer 5″ K-style seamless rain gutters we also offer 6″ K-style, 6″ half round, and custom bent box gutters. What do roofing companies in Layton, UT do? Your Layton, UT roofing contractor can install a new roof or repair an old one, as well as repair and replace gutters. Good roofers in Layton, UT should be able to promptly inspect roofs and gutters to assess damage after a natural disaster or other event, and give you an estimate for the necessary roof repair immediately. Some Layton roofing companies specialize in specific types of roofs, such as tile or metal, so make sure the one you are interested in works with the materials you have or desire. 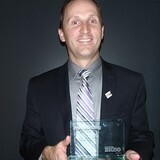 Find a Layton roofer on Houzz. Narrow your search in the Professionals section of the website to roofing companies in Layton, UT. If you’re planning a large-scale project, find other professionals on Houzz who can help get the job done. Here are some related professionals and vendors to complement the work of roofing & gutters: General Contractors, Specialty Contractors, Siding & Exteriors, Door Sales & Installation, Garage Door Sales & Installation.